Hello ... Hello ... my old friends ... It's great to see you once again! 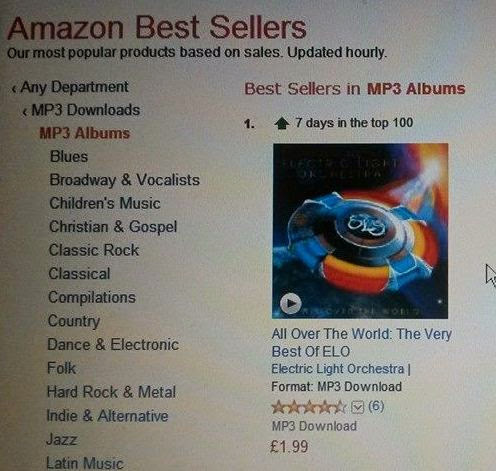 The full impact of the success of Jeff Lynne's return to performing live at Hyde Park last Sunday [14th September] for the first time in 28 years has led to Top 20 Album Chart consolidation for the best-selling Electric Light Orchestra compilation "All Over The World". The June 2005 Epic release was placed at #18 in the midweek chart and is holding steady at #18 in this week's Official Albums Chart UK Top 100. The album returned to the Top 100 chart two  weeks ago at #74 rising to #40 last week.